Draft: 2012, Oakland Athletics, 5th rd. Maxwell Steven Muncy…resides in Keller, TX with his wife Kellie…graduated from Keller (TX) High School…attended Baylor University, where he was a Freshman All-American (2010), breaking Baylor freshman school records of HR (11) and RBI (53) and was a two-time All-Big 12 Conference selection at first base (2011 and 2012) for the Bears... selected by Oakland in the fifth round of the 2012 First-Year Player Draft and signed by scout Armann Brown. Saw his first action as a Dodger after entering the season as a non-roster invitee in big league camp…hit .263 with a .391 OBP, 35 homers and 79 RBI in 137 games with Los Angeles ... Led the Dodgers in both slugging percentage (.582) and home runs, which tied for fifth in the National League…among players with 375 or more AB, ranked among the NL's best in OBP (7th), SLG (2nd) and OPS (2nd), behind only the league's MVP Christian Yelich ... Batted .293 (27-for-92) and ranked second on the team with 79 RBI ... Nearly made the All-Star team after finishing third in the NL's Final Vote, but still participated in the Home Run Derby where he won the first round against the Cubs' Javier Baez before being eliminated by the eventual champion Bryce Harper ... Appeared in all 16 of the Dodgers' Postseason games, going 10-for-50 (.200) with three homers and six RBI…ended the longest World Series game in history when he hit a walk-off home run in the 18th inning off of Red Sox pitcher Nathan Eovaldi to end Game 3…it was the longest World Series game in history in both time (seven hours and 20 minutes) and innings ... Had his contracted selected by the Dodgers from Triple-A Oklahoma City on April 17…slashed .313/.421/.563 in nine games with OKC. Spent the entire season with Triple-A Oklahoma City, slashing .309/.414/.491 with 62 runs, 20 doubles, one triple, 12 homers and 44 RBI in 109 games ... Averaged .366 with runners in scoring position while posting a .309 mark with runners on base ... Excelled against right-handed pitchers, as he posted a .323 average, compared to a .258 mark against lefties ... Made his first career pitching appearance, allowing just two hits over 2.1 scoreless innings over three relief appearances. Batted .186 in 51 games over three stints with the A's after hitting .206 in 45 games over four stints with Oakland in his Major League debut in 2015…his slugging percentage dropped from .392 in 2015 to .257 in 2016…however, his on-base percentage improved from .268 to .308…made each of his 34 starts against right-handed pitchers…hit .185 (20-for-108) with all 20 of his walks and all four of his extra base hits (two doubles, two home runs) against right-handers…was just 1-for-5 (.200) against lefties… has made all 60 of his career starts against righties and is a .196 (41-for-209) career hitter against righties compared to .167 (1-for-6) against southpaws…batted .257 in 14 games before the All-Star Break, .154 in 37 games after the break…hit .224 in Oakland, .145 on the road…batted .273 with both of his home runs in 18 day games, .130 in 33 games at night…went 2-for-28 (.071) with two outs but both of the hits came with runners in scoring position (2-for-8, .250)…was 0-for-10 when putting the first pitch in play and is 1-for-17 (.059) in his career…appeared in 21 games (19 starts) at second base, 17 games (13 starts) in right field, four games in left field and one game (one start) at third base…made his only error in his one game at third base…did not commit an error in 75 total chances at second base…had never played second base or outfield in the majors prior to 2016…hit .256 as an outfielder and .169 as an infielder…was also 0-for-9 with five strikeouts as a pinch hitter…is 2-for-18 (.111) with seven strikeouts in the pinch in his career…saw his most action with 11 starts in both the eight and nine spots in the order. Spent the entire season at Double-A Midland and batted .264 with seven home runs and 63 RBI in 122 games…added 87 walks for a .385 on-base percentage…led the Texas League in walks and onbase percentage and ranked third in RBI…tied for fifth in all minor league baseball in walks…ranked second in the A's farm system in walks, fourth in on-base percentage and 10th in RBI…was named to the TL Midseason All-Star team…grounded into just one double play in 435 at bats…hit .272 with six of his seven home runs off right-handed pitching compared to .248 against left-handers…had a .303 batting average and .395 on-base percentage when leading off an inning…went 7-for-15 (.467) with two grand slams and 24 RBI with the bases loaded…six of his seven home runs came with runners on base…hit .271 at night, .216 during the day…clubbed all seven of his home runs at night…appeared in 86 games at first base, 22 at third base and one in right field…led TL first basemen in assists (54) and tied for the lead in double plays (78)…committed four errors as a first baseman (.995 fielding percentage) and four as a third baseman (.941)…hit .151 in 14 games as the designated hitter…batted .219 in 73 games while hitting third in the order compared to .335 in all other spots in the order (24 batting fifth, 14 hitting clean-up, 10 in the six spot and one in the leadoff spot)…hit .269 over his first 15 games but drew 18 walks for a .457 on-base percentage…grounded into his only double play of the season April 5 against Arkansas…it came in his third game and eighth at bat…finished the season with a 119-game, 427-at bat streak without a GIDP…had a season-high six RBI April 8 against Northwest Arkansas…reached base safely in 19 consecutive games from April 26 to June 1…hit .344 with a .429 on-base percentage during the streak…began the streak with a season-best nine-game hitting streak through May 4 (14-for-32, .438)…had three-hit games on April 27 at San Antonio and May 2 against Corpus Christi, which were a season high (seven times)…was batting .320 with two home runs, 19 RBI and 24 walks (.446 on-base percentage) in 29 games when he was placed on the disabled list May 6 with a lacerated left thumb… was reinstated May 23 and hit .247 with five home runs, 44 RBI and 63 walks (.363 on-base percentage) over his final 93 contests…hit .357 in 13 games in May…started at first base for the South Division All-Stars in the Texas League All-Star Game June 24 at Arkansas and went 0-for-3 with a strikeout… connected for grand slams in back-to-back games on July 14 and 15 at Corpus Christi…had nine RBI in the two games, including five on the 14th…was named Texas League Player of the Week for the week of July 14-20 after going 10-for-23 (.435) with six runs scored, one double, three home runs, 16 RBI and 10 walks…had a .870 slugging percentage and .606 on-base percentage…hit four of his seven home runs in 30 games in July…added 23 RBI and 27 walks (.397 on-base percentage)…batted .237 with two home runs, three RBI, three walks and seven runs scored in nine postseason games to help Midland win the Texas League Championship. Began the year at Class-A Stockton and hit .285 with 21 home runs and 76 RBI in 93 games before earning a promotion to Double-A Midland July 14…hit .250 with the RockHounds and batted a combined .273 with 25 home runs and 100 RBI in 140 games overall…tied for second in minor league baseball in games played and tied for 10th in RBI…led the A's farm system in home runs, RBI, walks (88) and total bases (249), ranked third in runs (89), hits (143) and extra base hits (53), fourth in slugging (.476) and fifth in on-base percentage (.381)…had a .400 on-base percentage with Stockton, which ranked fourth in the California League…led the CL in intentional walks (9) and had the second best at bat per home run ratio (16.71)…was named to the Cal League Midseason All-Star team…hit .284 with 20 of his 25 home runs against right-handed pitching…batted .313 with runners in scoring position, including .386 with RISP and two outs…was 5 for 9 (.556) with a home run and 15 RBI with the bases loaded…hit 15 of his 25 home runs at Stockton's Banner Island Ballpark…appeared exclusively at first base on defense (128 games)…also went 8-for-42 (.190) in 12 games at designated hitter…hit .281 in 90 games batting third in the order, all with Stockton…hit two home runs April 7 against Bakersfield and April 19 at Modesto…had a total of four multi-homer games for the season…was perfect 4-for-4 with a walk May 20 against Lake Elsinore…it was his first of two four-hit games (June 12 at Inland Empire)… reached base safely in 27 consecutive games from May 30 to June 28…hit .356 with 11 home runs, 37 RBI and a .446 on-base percentage during the streak…hit a grand slam June 2 against San Jose…then hit three home runs and drove in a season-high five runs June 5 against Lancaster…was named Cal League Player of the Week for the Week of June 3-9 after hitting .393 (11-for-28) with five home runs and 16 RBI in seven games…started at first base for the Cal League All-Stars June 18 and went 0-for-1 with three walks against the Carolina League All-Stars…hit .340 with 11 home runs and 37 RBI in 27 games in June…led all of minor league baseball in RBI in June and tied for second in home runs…had his fourth multi-homer game of the season, a two-homer performance Sept. 1 against Frisco…hit .224 with 10 walks (.350 on-base percentage) and three RBI in 15 games for Mesa in the Arizona Fall League… was rated as the A's No. 6 prospect by Baseball America following the season…was also named as the best defensive first baseman in the Cal League. April 17, 2018 Los Angeles Dodgers selected the contract of 1B Max Muncy from Oklahoma City Dodgers. 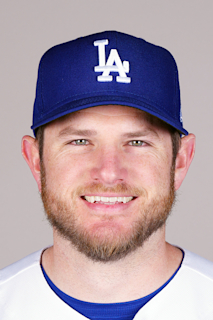 January 30, 2018 Los Angeles Dodgers invited non-roster 3B Max Muncy to spring training. April 28, 2017 Los Angeles Dodgers signed free agent 2B Max Muncy to a minor league contract. April 28, 2017 3B Max Muncy assigned to Oklahoma City Dodgers. April 21, 2017 2B Max Muncy assigned to Oklahoma City Dodgers. January 10, 2017 Oakland Athletics sent 2B Max Muncy outright to Nashville Sounds. January 3, 2017 Oakland Athletics designated Max Muncy for assignment. July 25, 2016 Oakland Athletics recalled 2B Max Muncy from Nashville Sounds. June 28, 2016 Oakland Athletics optioned 1B Max Muncy to Nashville Sounds. June 10, 2016 Oakland Athletics recalled Max Muncy from Nashville Sounds. May 25, 2016 Oakland Athletics optioned 1B Max Muncy to Nashville Sounds. May 17, 2016 Oakland Athletics recalled Max Muncy from Nashville Sounds. March 21, 2016 Oakland Athletics optioned 1B Max Muncy to Nashville Sounds. October 22, 2015 Charros de Jalisco placed IF Max Muncy on the reserve list. October 7, 2015 IF Max Muncy assigned to Charros de Jalisco. September 8, 2015 Oakland Athletics recalled Max Muncy from Nashville Sounds. August 29, 2015 Oakland Athletics optioned 1B Max Muncy to Nashville Sounds. August 24, 2015 Oakland Athletics recalled Max Muncy from Nashville Sounds. August 23, 2015 Nashville Sounds placed 1B Max Muncy on the reserve list. August 4, 2015 Oakland Athletics optioned 1B Max Muncy to Nashville Sounds. July 28, 2015 Oakland Athletics recalled Max Muncy from Nashville Sounds. June 30, 2015 Oakland Athletics optioned 1B Max Muncy to Nashville Sounds. April 25, 2015 Oakland Athletics selected the contract of Max Muncy from Nashville Sounds. April 5, 2015 1B Max Muncy assigned to Nashville Sounds from Midland RockHounds. December 23, 2014 Oakland Athletics invited non-roster 1B Max Muncy to spring training. May 22, 2014 Midland RockHounds activated 1B Max Muncy from the 7-day disabled list. May 8, 2014 Midland RockHounds placed 1B Max Muncy on the 7-day disabled list. March 4, 2014 1B Max Muncy assigned to Oakland Athletics. July 14, 2013 1B Max Muncy assigned to Midland RockHounds from Stockton Ports. April 1, 2013 Max Muncy assigned to Stockton Ports from Beloit Snappers. June 23, 2012 1B Max Muncy assigned to Burlington Bees. June 16, 2012 Oakland Athletics signed 1B Max Muncy.